After upgrading to 15.04 beta2 I noticed that selecting files with Ctrl and the arrow keys in Nautilus became more difficult since the active item had no decorations. I'm sure before there was some sort of dashed line around the active item's name, so this may be a regression. I have searched for any other bug report on this, or any other person complaining about it, without success. I tried using the guest account to confirm it wasn't a previous configuration on my regular account, and the issue is also present. Maybe it is uncommon for people to select items in nautilus with the keyboard arrows? This may need to go in other selector properties, but it worked like this and I couldn't make it to work on any other selector. Ambiance and Radiance both share the problem, HighContrast, for example, works as expected. *I want only use the keyboard. *ubuntu 16.04 LTS Xenial Xerus. My problem is that i can't see the focus selected file or folder in nautilus. For example if I am in download folder i can select a file with ctrl+space then it file will have the selected item color (orange), then when i move down or up i can't see what files has the focus. By the way, as Bruno says this work well in High Contrast Theme. I have to say that the problem persist on Ubuntu 16.10 Yakkety Yak. By other hand, How we can only put a orange line below the file that has the focus?. 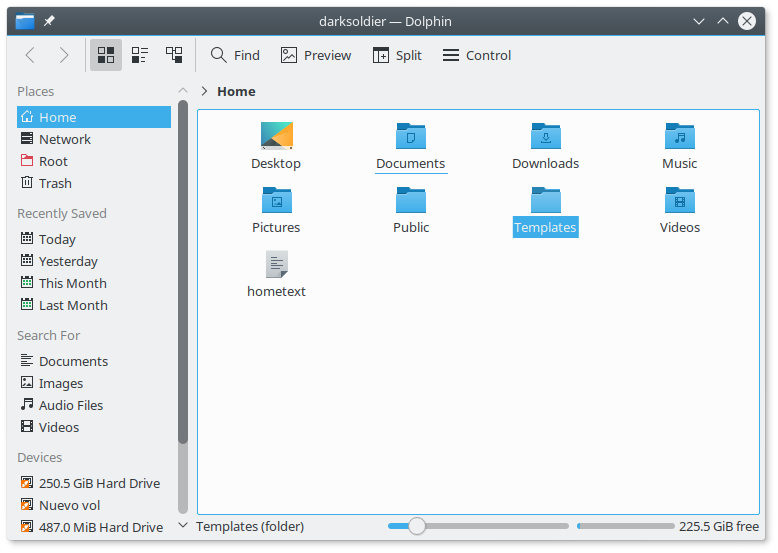 I say that because in Antergos with KDE plasma 5.8, " Dolphin" (File manager) has something similar and I like that. +1 for a bug fix! Ubuntu 15.04 (vivid) reached end-of-life on February 4, 2016. I can confirm this bug in Ubuntu 17.04. The behaviour on 17.04 is still unchanged. Any clues for how to fix, or at least what to look for?